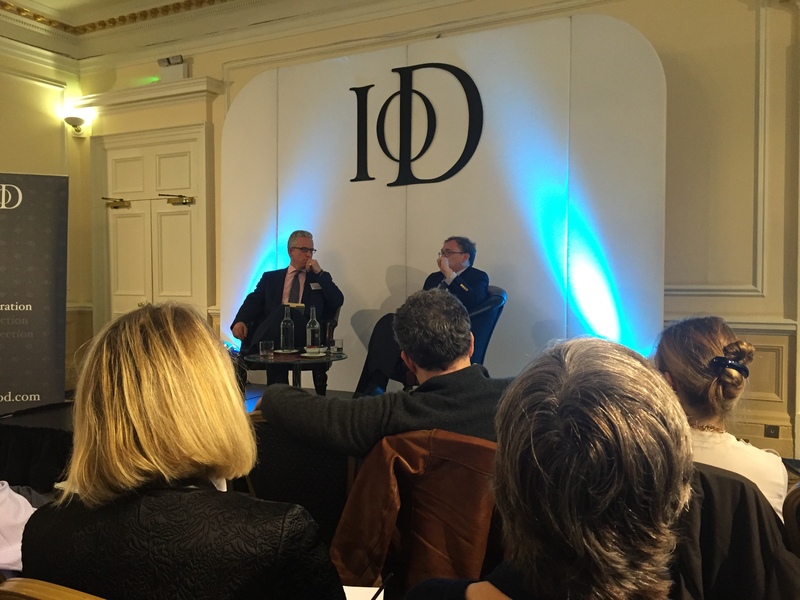 ChangeSchool had the privilege of hearing Economist Management Editor Adrian Wooldridge, the man behind the famous Schumpeter column, speak this morning at the Institute of Directors on London’s Pall Mall. His topic was that of his new book, ‘The Great Disruption’. As change junkies (hey – the clue’s in the name) we thought it would be a good thing to give you all a taster of what he said. The theme was the interconnected parallel changes and disruptions happening across different spheres right now, how they interact and reinforce each other, and what the risks and consequences might be. The scale of globally dominant companies / monopolies who measure in the billions of customers mean that they can move into adjacent markets based on their critical mass. Think Google moving from search to maps to productivity software to video to electric cars to space to [insert your own idea here – it is probably true]. Facebook, Alibaba, Apple – these sorts of companies can move at significant speed through the sheer advantage of a massive, captive user basis and transactional knowledge of its users’ behaviours. And yet, these large companies have many less employees than the largest companies of 100 years ago (such as US Steel). With software eating hardware, many products are zero marginal cost to reproduce. Hence managerial capitalisation is making way for entrepreneurial capitalism, the decline of the employee and the rise of the contractor. The capitalism of flexibility, zero commitments. Everyone having something to sell and the capabilities of our networked world lead to the so called ‘sharing economy’. This is really hypercapitalism that capitalises surpluses. It is the capitalism of zero. Uber is the extreme example. No employees, an algorithm and a few contracts. Jeff Bezos talks about Year 0 of the internet in his shareholder letter. However it is this type of capitalism that doesn’t contribute to taxes, pensions, any of our present social nets that were built for a different age, because they exist outside the system. Wooldridge sees the highest risk in financial innovation. The present white hot activity in FinTech and the likely emergence of a reserve currency outside the managed system threatens not just financial stability but the ability of countries to regulate their economies. How does any government collect taxes in bitcoins? We are also seeing a change in innovation – Jugaad or frugal innovation is a reaction against the over-complication and high price of much in the West. McKinsey report their belief that the golden age of profits is over, that dividends from productivity will be redistributed to customers or employees. Public sector innovation is also gathering pace. The public sector has been the last large scale employer (and usually the employer of last resort), but now even here labour is being capitalised. Think less soldiers, more drones. For Schumpeter, the correct mindset is that of Danish public healthcare, for example, using their expertise to become a global provider of equipment rather than just a healthcare cost for the taxpayer. Societies make a choice how to react. The UK has lower productivity than France and Germany, but it has decided as a society to keep more people in employment. Wooldridge thinks this a good choice – the social and political cost of unemployment and disengagement is too high, as the French acutely know. People don’t like the status quo. Political movements from proto fascist Hungary to Corbyn in the UK, Trump in the US to Podemos in Spain – there is a new politics of discontent, against the managerial consensus of the last 30 years. Our institutions and structures are running to catch up. There will be push back – Uber has certainly ruffled feathers! Wooldridge believes that with all the benefits much of this change will bring, there will also be a lot of pain as our societies work out how to cope. Wooldridge outlines a fascinating array of interconnected forces disrupting our world. It would be interesting to know how people see our societies adapting and changing across the globe.